If you’ve been reading our recent articles on safe driving tips then you already know a bit about the impending ICBC changes and how the program will seek to make rates more fair. As of 2019, lower-risk drivers won’t be paying the same premiums as some high-risk drivers. For some, this is great news while for others it delivers a swift call to action to make a shift in driving behavior or feel the financial consequences. Thankfully, there is plenty of time to adapt. As BC’s premier automobile insurance broker Park is here with insight into ICBC’s new system of determining insurance premiums in 2019 and beyond. At the same time next year, you are more likely to be rewarded for your experience on the road. Under the current model, BC residents stop receiving experience-based discounts after just nine years, but moving forward you’ll be afforded four decades, as ICBC will recognize up to 40-years of driving experience. What about new BC residents who are currently credited just 8-years? ICBC will be bumping that up to 15-years while reducing the amount of documentation required to prove driver history. New residents will only need to provide proof of holding a valid driver’s license for the tenure they seek credit for. However, ICBC still recognizes that new residents represent a higher risk during the first three years of driving in B.C. given the lack of experience in driving the region’s roads and highways. To account for this, their premiums over the first three years would reflect the risk. It should be noted that if you fall under the inexperienced category, ICBC will calculate basic insurance premium discounts based on driving behavior. For instance, within a given period, ICBC will reduce the discount amount after a driver’s first at-fault MVA and eliminate discounts altogether after the second. On the other side of the coin, a good but inexperienced driver may still qualify for discounts. Start building your driver pedigree today to enjoy the future discount benefits that ICBC will afford to experienced drivers. Time for a crash course accounting of your motor vehicle accident (MVA) history because ICBC will be paying much more attention to this factor when determining how much you will pay for insurance. That being said, the new adjustments will not necessarily penalize indiscretions from years ago. Adjustments are being made to the scan period. The scan period accounts for the number of at-fault (if any) crashes you’ve been involved in over a 10-year period. When the 2019 changes take effect, your premium calculation’s scan period and at-fault claims history will start from March 1, 2017. From there, ICBC will extend the scan period by one year up until 2027 when the full 10-year interval would be complete. You can build up a favorable background by driving more responsibly, starting today. One of the biggest changes to the way ICBC determines insurance premium discounts, is found in the fact that they will strictly follow the history of the driver, not the vehicle. If you borrow someone’s car and cause an accident, the claim will be attached to your driver record, not theirs. However, even if you’re a great driver you will need to be more careful about whom you allow to take the wheel in your vehicle. You must list all drivers of the automobile in order to allow ICBC to accurately calculate the risk involved. 75% of the premium will be based on the principal driver, while the remaining 25% is calculated by the risk appended to others drivers listed on the policy. Park Insurance has provided information on how to identify the principal operator, along with other tips to reducing your liability risk when letting others use your vehicle. 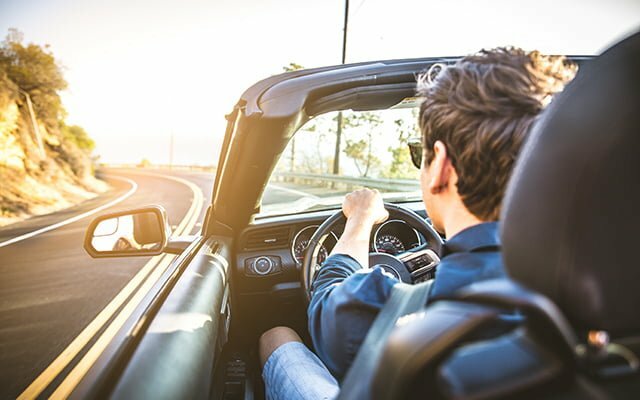 ICBC understands that you can’t always predict who will use your vehicle and how often, and is indeed being reasonable when it comes to this qualifier. For example, “unlisted driver protection” riders can be added on to your policy for those who may use your vehicle only occasionally, and there will be exemptions for unforeseen events, such as when an unlisted driver needs to use your vehicle for a medical emergency and the like. Learners are also provided with unique consideration, as a learner premium is made available to help cover the costs of MVAs caused by those who have newly received their licenses. Some see this change as a means to prepare for the arrival of ride-hailing services such as Uber or Lyft. Whether or not these services become unstuck from the provincial red tape, the ICBC update will adjust discounts by rate class (how you use your vehicle) and the associated risks involved. ICBC has stated that the changes would be rolled out gradually over the next 10 years which certainly leaves room for the impending arrival of ride-hailing services and the respective impact on rate class by BC region. Stay tuned for future updates. In addition to the preexisting seniors’ (view more on ICBC’s new drivers license testing process for seniors) and disability discounts, additional benefits may be extended to account for the automobile itself. For example, vehicles that have original manufacturer-installed automatic emergency braking technology may qualify for a 10% discount. ICBC has also stated that other proven crash-prevention technologies may qualify drivers for future discounts, as they become available. As well, vehicles that are driven less than 5,000 km per year will become eligible for a 10% discount. Barring an unforeseen rebuttal from the BC Utilities Commission (independent regulator for ICBC) the proposed changes will take effect in September of 2019. This leaves time to take stock of your driver history and current behavior. Reference this article that details the characteristics of good and bad drivers, adopting the habits of the former. Lastly, be sure to consult with an independent insurance broker to receive an assessment on your current automobile insurance policy which will give you a good idea about where you stand on the road today, and tomorrow. Contact Park Insurance.